I’m baffled by New York Yankees left-hander CC Sabathia’s comment to YES Network reporter Jack Curry after Sunday’s ugly start in which he said he’s working on his transition. 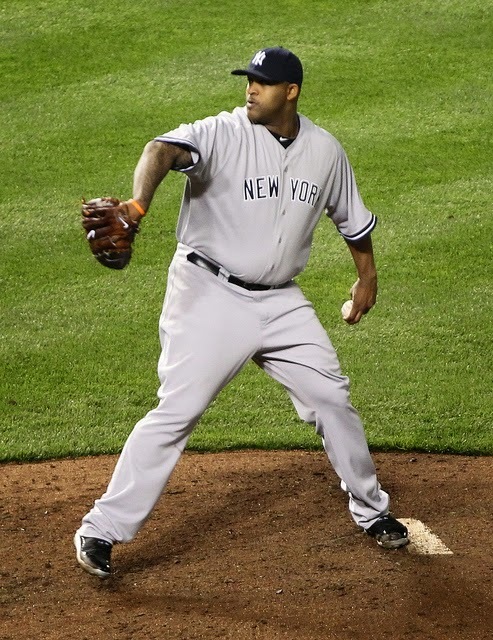 Sabathia’s transformation has been going on for a few years now; but it’s just now dawning on him that he has to make it work? I know that Sabathia has acknowledged in the past that he’s not the same pitcher (one with a power fastball), but was he just saying that because that’s what he thought we wanted to hear? Maybe he’s been stubborn up to this time; feeling that he could get by with an 88-mph fastball and mediocre offspeed stuff? It’s evident that if he doesn’t have great location and his pitches have little-to-no movement he’ll have a hard time winning ballgames. 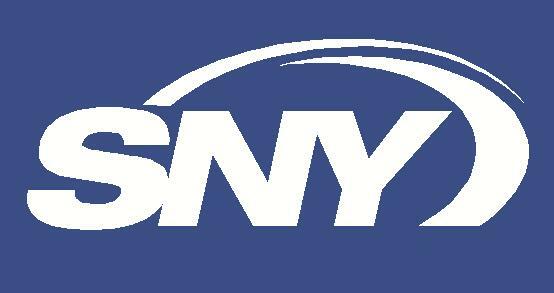 I’ve stated that I feel Sabathia can make the transition recently at SNY. My thought is that Sabathia was held back emotionally and physically in recent years. Sabathia has gone through rehab for alcoholism (maybe it was a problem all this time) and is wearing a protective knee brace to aid his delivery; it's possible both ailments affected his confidence. Now it’s up to him to perfect the pitches. If he cannot, it’s going to cost the Yankees another $50 million for next to no production. The Yankees made several cuts after Sunday’s game including sending top prospects Aaron Judge, Jorge Mateo, Jacob Lindgren and James Kaprielian to minor league camp. Judge had one hit in 16 plate appearances, an opposite field homer, but the work in Triple-A this season should do him well. Mateo went 3-for-15, but showed off his speed and a bit of power (a triple and homer) demonstrating the reason why he is mentioned as “untouchable” in trade talks. Lindgren hasn't pitched well this spring (15.43 ERA in 2 1/3 innings), but after missing most of 2015, it’s not all that surprising that he has work ahead of him. If Lindgren figures things out, he’ll surely be a part of the anticipated 2016 version of the Scranton/NY shuttle. Kaprielian posted a 4.91 ERA in 3 2/3 innings, and there is plenty of seasoning left despite the fact that he is potentially on a fast track to the majors. The Yankees offense has been shut out three times now this spring. Monday is an off day for the Yanks. No game. No workouts. No news? We’ll see. Christopher Carelli is a freelance baseball writer. Besides his work here, Christopher is a featured Yankees writer for SNY.tv. His baseball commentary has also been published on The Cauldron via Sports Illustrated, Yahoo Sports and linked multiple times on MLB Trade Rumors’ Baseball Blogs Weigh In. He is a member of the Internet Baseball Writers Association of America, the Baseball Bloggers Alliance and the BYB Hub.